To renew, please choose from Individual, Joint or Family below, then click on ‘Support Us’ and either 'This is for me' or 'This is a gift'. Then click ‘Next Step’ to continue. Please include your Membership Number in the "Additional Comments" box when you complete the form. Thank you! Gift Aid declaration : Are you a UK taxpayer? Increase your donation without spending a penny extra! Tick the box below and for every £1 you give, we can claim a further 25p from HM Revenue and Customs. I would like the Dorset Wildlife Trust to reclaim the tax on this and any other eligible donations or membership subscriptions that I may make in the future or have made in the past 4 years. I understand that I need to pay enough Income Tax or Capital Gains Tax in each tax year to cover the Gift Aid claimed on all my donations otherwise it is my responsibility to pay any difference. From time to time Dorset Wildlife Trust will contact you to let you know how your support is helping local wildlife, other ways to get involved and other ways in which you can help. If you do not wish to be contacted in future please email mail@dorsetwildlifetrust.org.uk. If there are any changes to the amount, date or frequency of your Direct Debits Dorset Wildlife Trust will notify you 10 working days in advance of your account being debited or as otherwise agreed. 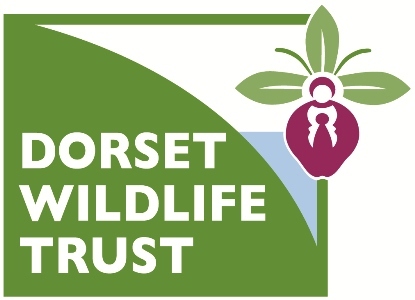 If you request Dorset Wildlife Trust to collect a payment, confirmation of the amount and date will be given to you at the time of the request. If an error is made in the payment of your Direct Debit, by Dorset Wildlife Trust or your bank or building society, you are entitled to a full and immediate refund of the amount paid from your bank or building society. If you receive a refund you are not entitled to, you must pay it back when Dorset Wildlife Trust asks you to. Thank you for choosing to pay by Direct Debit. Advance Notice of the Direct Debit set-up will be sent to you no later than 10 working days before the first collection date. Please note that the first collection date will be given in the advance notice you receive from us. Subsequent collections will be on or about the first day of the month. The advance notice will be sent to you by post. The name DTNC will appear on your bank statements beside the Direct Debit amount you have specified - this stands for Dorset Trust for Nature Conservation and is the original name for Dorset Wildlife Trust.